The Millennium M10 Concentrator is engineered to reduce the cost of providing oxygen at a higher liter flow with fewer parts. This concentrator can deliver up to 10 LPM of oxygen helping with the 5 LPM and above oxygen patients. Fewer parts, combined with greater reliability, help to reduce expenditure on accessories and unnecessary inventory. The Millennium M10 has protective tubing to guard against electric shock. It also features a Twin Head Compressor and an optional Oxygen Percentage Indicator (OPI®) to measure the oxygen output as a purity indication. 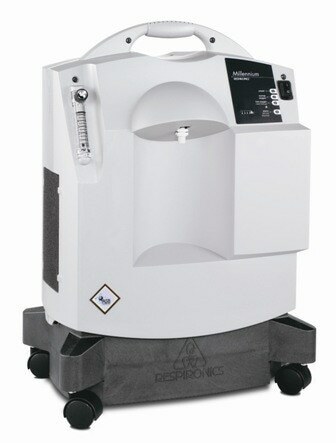 The Respironics Millennium M10 is designed for rigorous usage over time with highly durable casters.